Clocktower Place is strategically positioned at the intersection of I-270 and W. Florissant amongst a regional retail hub within St Louis’ northwestern suburbs. The immediate area includes roughly 1.5 million sf of retail development, the only Sam’s Warehouse within 10 miles and serves an expansive trade area with over 102,000 residents living within a 3 mile radius. 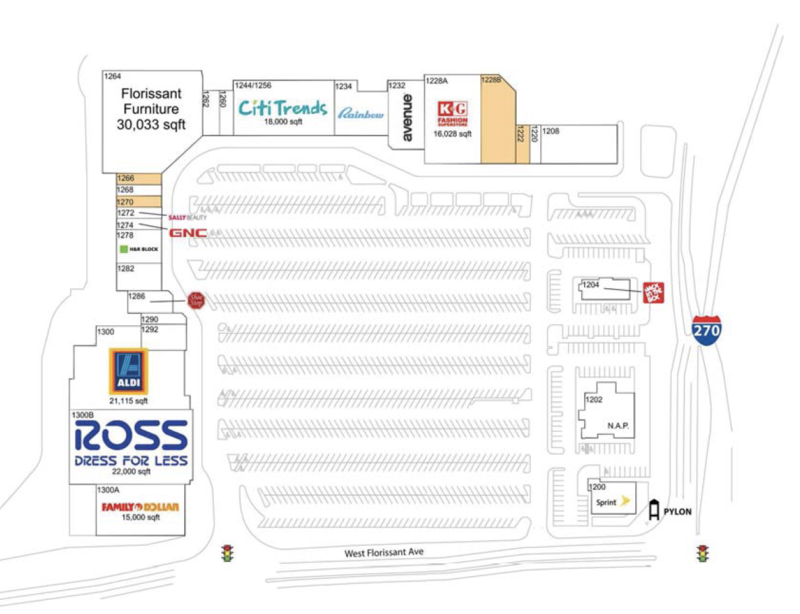 The subject property benefits from having one of the dominant positions in the trade area and possesses excellent visibility and full access from the highway via exit 28, and ingress/egress on both Dunn Road and W. Florissant Avenue, which have a combined traffic count of nearly 200,000 vehicles per day.